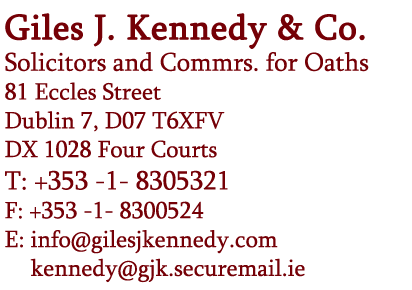 Workplace Relations act 2015 IE|WRC | Giles J. Kennedy & Co. The Workplace Relations Act was signed into law by the President on the 20th of May 2015. The Workplace Relations Act 2015 (Commencement) Order 2015 was signed by Richard Bruton Minister for Jobs, Enterprise & Innovation on the 31st of July 2015. The Order provides for the commencement of certain technical and operational provisions of the Workplace Relations Act 2015 from the 1st August 2015 in advance of the establishment of the new Workplace Relations structures on the 1st of October 2015. The Act represents a major change in the administration of employment legislation in Ireland for employers and employees alike. The aim of the Act is to reform the manner in which workplace disputes and associated legislation is administered. Prior to the introduction of the Act depending on the dispute an employee may have to take their case (and an employer therefore had to dispute the case) in one or more of the five different state bodies then responsible for administering employment, equality and associated legislation. These five have now been merged into two namely the Workplace Relations Commission (WRC) in the first instance and then the Labour Court on appeal. This will effectively streamline cases with a view to reducing costs and it is hoped that it will provide a workable means of redress and enforcement within a reasonable period of time in a forum where all issues are dealt with together. The Act also provides for mediation at an early stage which will provide the parties with an opportunity to resolve matters outside the formal mechanisms referred to above. Any agreement reached at mediation would be binding on the parties and enforceable in the Courts. Procedurally an employee who wishes to bring a claim under any of the employment legislation to include unfair dismissal and discrimination claims, work time issues, pay claims and industrial relations will have six months (which can be extended to twelve months where there are reasonable grounds) to bring a claim. If the parties are not prepared to mediate or if mediation is not successful the dispute (comprising all issues) will come before a single adjudicator of the WRC for determination. The hearing will be conducted in private and is designed to be less adversarial and more inquisitorial. The parties may be legally represented. 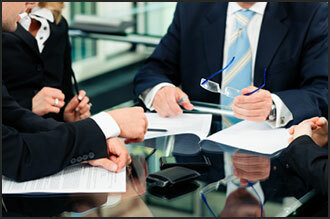 There are provisions for the production of documentation, the attendance of witnesses etc. A decision will be made in the normal way following the hearing and the enforceability and procedure for enforcement remains the same. While decisions of the adjudicators will be published the parties will not be identified. Appeals from the WRC will be heard in the Labour Court. The Act gives the Minister the option to charge fees to employees wishing to bring claims as against their employers. Up to this point there was no costs implication for an employee who wished to bring a claim through the existing State bodies. While it is understood that there are no plans to introduce wide scale fees during recent Dail debates it was suggested that a party who fails to appear at an adjudicator hearing without good cause and who wishes to appeal the decision to the Labour Court should be required to pay a fee when lodging its appeal. The Labour Courtwould then determine whether the party in question had good cause for failing to attend before the original hearing and if the Labour Court was satisfied with the explanation offered the fee would be refunded. Where a WRC inspector is satisfied that an employer has contravened specific sections of the employment legislation they can issue the employer with a compliance notice. This is effectively a direction to the employer either to do certain things or to refrain from doing certain things. If an employer believes that they are compliant with the legislation they can appeal the compliance notice to the Labour Court. A failure to comply with a Compliance Notice will be an offence and on indictment may result in a fine of up to €50K or imprisonment for up to 3 years for the employer. Where a WRC inspector has reasonable grounds for believing that an employer has committed an offence under the Protection of Employment Act, Payment of Wages or National Minimum Wage Act they can issue the employer with a fine or a fixed payment notice which may not exceed €2K. Where an employer agrees to pay the fixed payment notice within 42 days the WRC will not prosecute the relevant offence. However, where an employer wishes to dispute the fixed penalty notice they should simply not pay same and once the prosecution issues the employer presents his defence to the Court for assessment. The Act does provide for the sharing of information between various State agencies on employers who are in breach of employment law. These State agencies include the Revenue Commissioners, the Gardai, the Director of Corporate Enforcement, the Health & Safety Authority and indeed others. This could also have consequences for any employer tendering for public works contracts. It could potentially exclude certain employers from being considered or could even result in payments under an existing contract with a public body being withheld pending compliance with the relevant law.